Have you already started planning for Thanksgiving or started your holiday shopping? We know that this time of year can be a bit stressful, so we decided to work together with some of our favorite bloggers to bring you this fantastic giveaway! One very lucky reader will have a chance to win a $100 Target Gift Card or cash if they live outside the US or in an area that doesn’t have a local Target store. To learn more, make sure to read the rules below and then enter through the Rafflecopter! One lucky reader will win a $100 Target Gift Card or Cash. Sweepstakes ends November 8th at 11:59pm ET. Welcome to our Giveaway Linkup hosted by Let’s Start Saving Now, Beck Valley Books, Finger Click Saver, A Gluten Free Mom, Irish Daisy Loves Romance and Life as Leels! This is a great place to list and find giveaways hosted all around the blogosphere by some great bloggers. 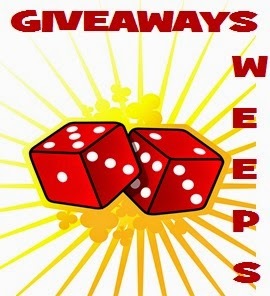 Hop over and enter 1 or 2 (or all) of the giveaways! If you’re the lucky winner, we’d love to hear!